New Look, founded in 1969, is a British high street retailer that has bloomed into a global enterprise. We Love This Ltd approached EventBeat to help them launch the New Look Autumn/Winter Collection in style. Our in house team designed a sleek and professional feed to be displayed on screens throughout the event showing off the new collection, advertisements and a range of comments from social media. 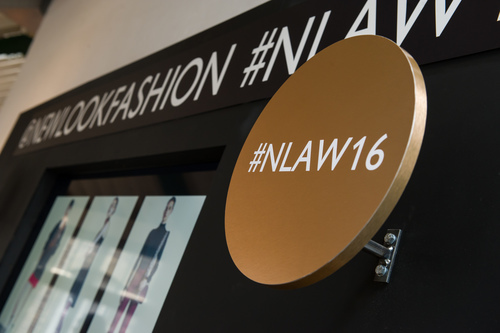 Visitors to the event tweeted using the hashtag #NLAW16. The comment or image was then pushed through moderators and onto the screen cast, encouraging interaction. With each tweet came free customer led advertising for New Look, even generating some tweets from the public as the event went on!